Aroma Box is a fun subscription service that sends you a variety of unique essential oils each month. Each box includes three pure essentials oils and one mixed blend in a roll-on container. All of the oils in the box will have a specific theme and work well together or on their own. Each bottle is also a full size container. No puny sample sizes like some other boxes! This month's theme is "The Visionary", and it's all about help you stay focused and create new things. Each of these oils will help you overcome a challenge in your life, whether it's physical, emotional, or spiritual. Here is a little about each of the oils in this box and the benefits they offer. Copaiba - This oil has a nice woodsy scent. It also has the ability to produce happy hormones. You need to be happy to be inspired, which is why this oil is part of this month's collection. Lavadin Grosso - This oil is similar to lavender, but smells a little stronger. It can help with respiratory issues, and also helps to calm your mind, which leaves you open to inspiration. Star Anise- This is one of my favorite herbs for spell bags, but I've never had it oil form. It's great to have around during cold and flu season because it aids respiratory conditions. It also helps to reduce stress and anxiety which can block your visions. The Visionary - This roll-on blend will help calm an overactive mind so inspiration can flow freely. It helps you to stay focused so the ideas keep flowing. I've used it this week while working on my college essays, and it was much easier to focus! This was another amazing box filled with essentials oils everyone should have to their medicine cabinet, especially if you are facing a challenge or just want to clear you aura. Each one of the varieties in this package will be getting plenty of use. I also love how Herb Stop includes so many great tips on how to use the oils and even recipes. This month, they give you an awesome recipe for Be the Change Spray. Plus, the oils are always high quality, and never diluted like some other brands I've purchased online. 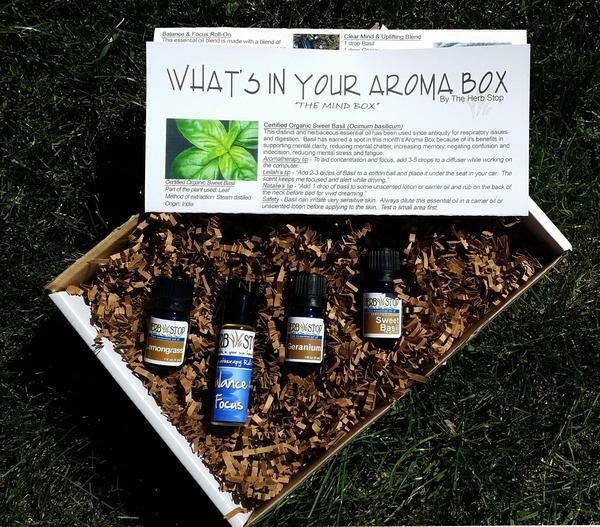 I say this every month, but The Aroma Box is one of my favorite boxes and definitely worth the price of the subscription. Herb Stop will definitely be my go-to company whenever any of my oils need to be replenished. In addition to the Aroma Box, you can also order individual bottles of any of Herb Stop's high quality oils. They also offer teas, beauty products, seasonings, and so much more. Plus, shipping is always free on orders over $100, so be sure to stock up on all your favorite blends before the winter sets in. To see all they have to offer, visit the Herb Stop on their website or follow them via their social media. Take 15% Off Your First Aroma Box with code NAM15. 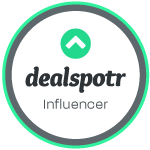 This code is valid through 10/31/16. Use code ABF18 to save 10% Off any essential oils or roll ons.